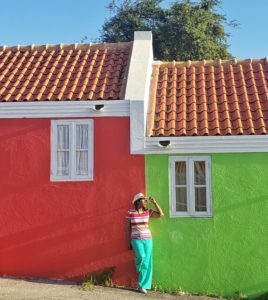 Some destinations are known for stunning natural scenery, while the appeal of others lies in instantly recognizable landmarks, the significance of the location’s history, its music scene, or culinary identity. But very few, like New Orleans, have most of those attributes with the added distinction of being world-renown for SOUL. And I don’t mean soul solely in terms of the definition normally ascribed to the African-American context that infers being steeped in black culture or ethnic pride. 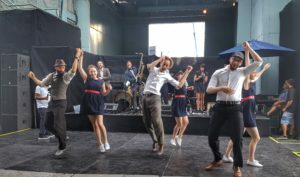 No, the Big Easy has soul in a much broader sense because it exudes an emotion, a passion, and an intensity that transcends race and ethnicity. I’d liken it to an intangible, but visceral force that leaps across socio-economic, political, generational and geographic chasms to make you forget about your respective backgrounds for long enough to absorb just the right amount of its crackling energy. You can do bus tours, food tours, or go on historic walking tours. My sister and I planned this trip for our parent’s wedding anniversary, so with seniors on board in the heat of the summer, we opted to sightsee on an air-conditioned bus. The ride took us past the French Quarter, the Garden District, the famous Superdome, the Tremé neighborhood, and the Ninth Ward area that was devastated by Hurricane Katrina. The stories of the city’s resilience and its sights were impressive, but one of the biggest highlights of the drive for me was getting to see the William Frantz Elementary School where 6-year-old Ruby Bridges boarded the steps in 1960 and did her part to end school segregation. The building is small, but I can’t imagine how huge and imposing it must have seemed back then to that tiny little girl. The streetcar is such a novel and neat way to see different parts of the city that you should add it to your list. 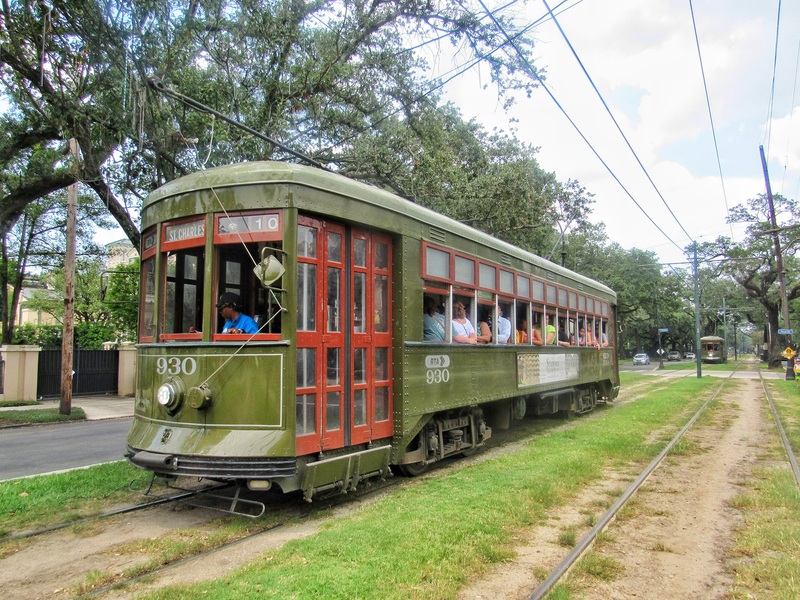 The NOLA three-line, streetcar system is one of the oldest operated ones in the world. One of the cool things about it is if you ride all the way to the end of one line, you just get up and turn your seats around to face the other way on the return. Plus, it’s cheap! At US$3 for a 24-hour pass, its prices beat even Uber and Lyft. Let me warn you now, do not go to New Orleans if you’re on a diet! The food is so outstanding, by trying to watch calories you will be losing out. What I liked best is the wide range of culinary offerings available everywhere, which means you don’t have to dress up and pay fancy prices to savor the deliciousness that abounds. We tried to avoid the tourist traps by eating local, and oh me oh my, the hotel staff and taxi drivers sure didn’t steer us wrong. 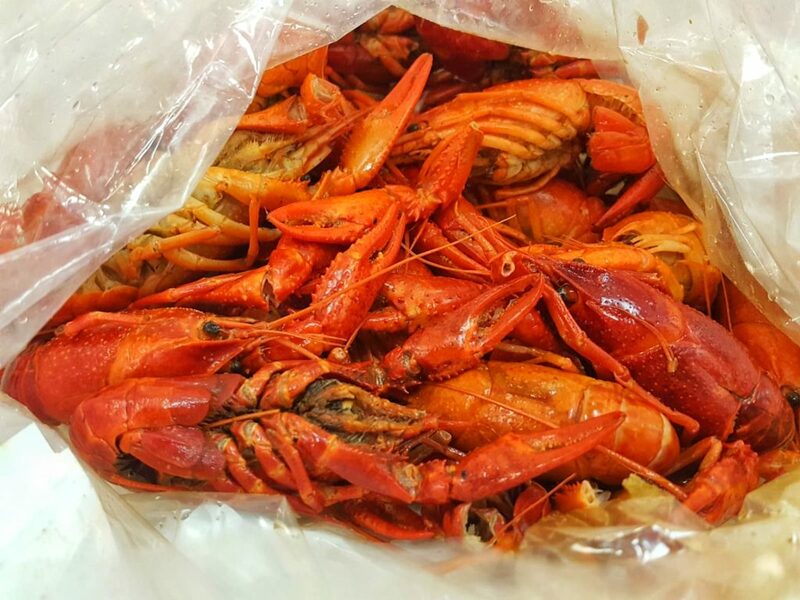 If you’re a fan of shrimp, gumbo and crawfish/crayfish, I have two words for you: Cajun Seafood. It’s a small, stand-up-and-order-at-the counter eatery on 1479 N. Claiborne Avenue that serves seafood by the plate or pound. You get fantastic tasting meals with humungous servings at half the price you’d pay in even the most basic restaurant in the French Quarter. If you’re staying in the business district and are looking for good ole homestyle breakfast and lunch options that are easy on the taste buds AND your pocket, you can try Commerce Restaurant on Camp Street or P & G Restaurant and Bar on Baronne Street. Other must-try signature meals elsewhere include beignets (Morning Call Coffee Stand), pralines (Leah’s Pralines), fried chicken (Dooky Chase or Willie Mae’s), and jambalaya (Jacques IMO Café). I didn’t get to try them all, but those places come highly recommended. 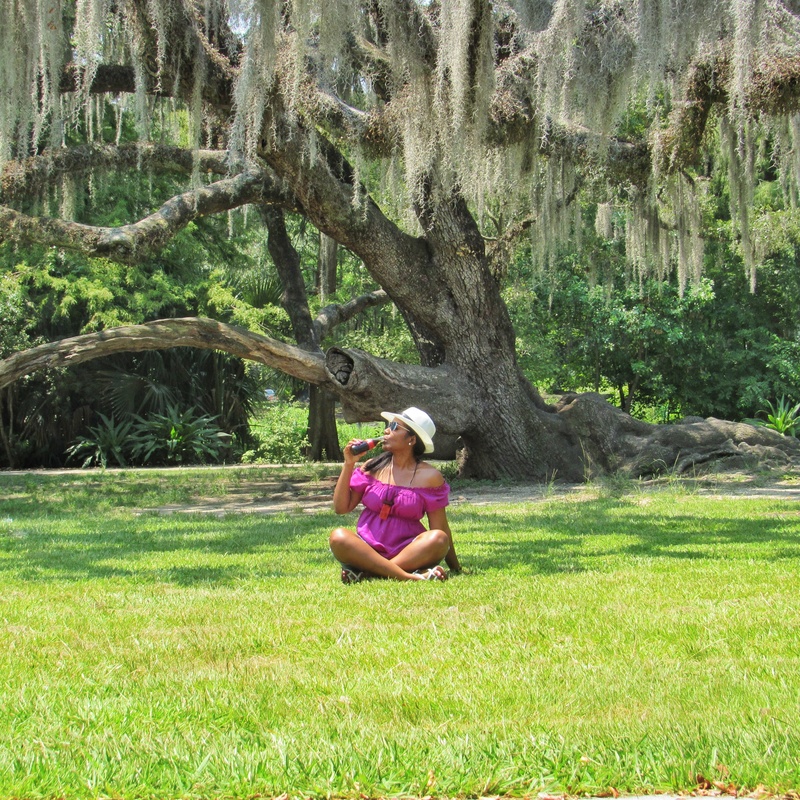 City Park is NOLA’s equivalent of New York’s Central Park, and it is a lovely 1,300-acre green oasis lined with stately historic oaks. The outdoor art in The Sydney and Walda Besthoff Sculpture Garden is outstanding, but if art isn’t your thing you can check out the botanical garden, or go walk, bike or hike the pathways in the seemingly limitless space adorned with dramatic moss canopies. 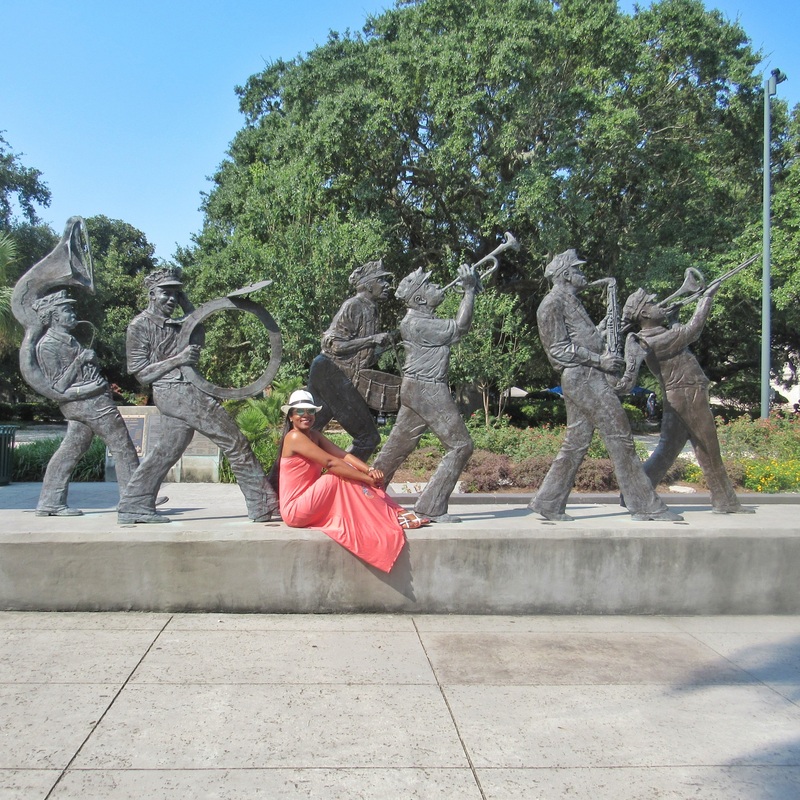 Music is so interwoven into the history of the city that no visit would be complete without enjoying a live jazz show. It’s quite likely you’ll hear it on the streets from performers who really should already have a record deal, but it you’re looking for more ambiance in your music setting you can plan to visit a hall or showroom. I enjoyed listening to the vocal gymnastics of Mayo Jones at the Royal Sonesta Hotel. They didn’t charge a cover, but there was a one drink minimum rule per set. Other popular places I heard about were Tipitina’s (which had a Free Fridays night), Preservation Hall and One Eyed Jacks. 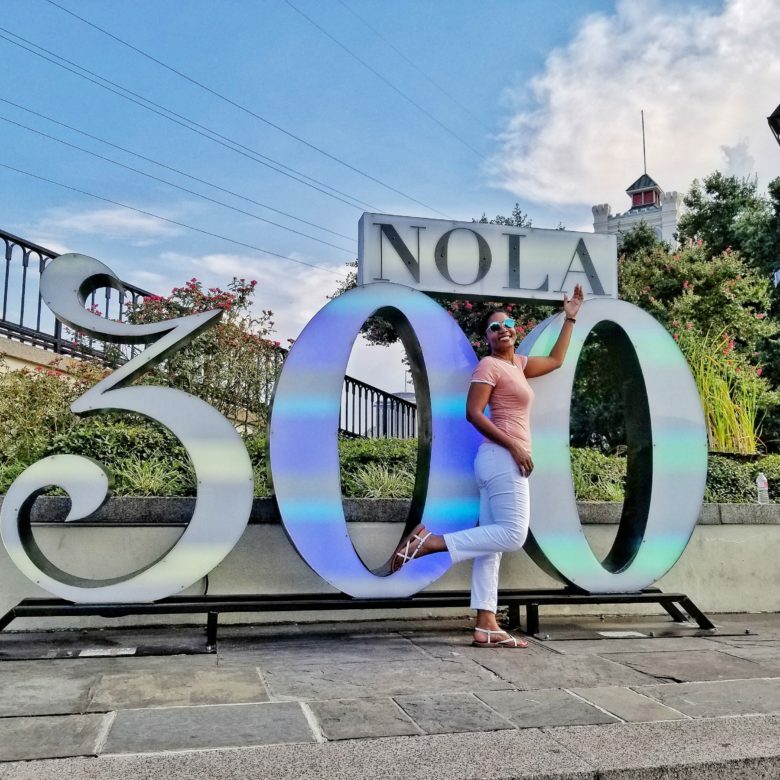 The infamous Mardis Gras stories, and the non-stop revelry and liquor-laced shenanigans that take place along Canal Street and Bourbon Street make the French Quarter famous, but there’s much more to that area than bawdy behavior and colorful, fishbowl-sized go cups. Public monuments in what was once the original town square have French and Spanish architectural design influences that are interesting to see, but the pièce de résistance is its cluster of charming Creole townhouses and cottages. This is a popular way to get out on the water to see the city. I took the Steamboat Natchez Cruise on the Sunday morning before I left, and it was a relaxing way to recharge my batteries after an action-packed visit. There are also lunch and dinner cruise options that allow you to eat while you glide downriver. Because the city is below sea-level, the residents have a unique way of burying their dead, so cemetery tours are common. On my bus tour, the driver made a brief stop at the Metairie Cemetery, where we got to hear about their burial process and see some of NOLA’s above-ground tombs. I admit this kind of thing is not for everybody, but it is different. I encourage you to get off the beaten path to spend about two and a half hours with Mikhala Iversen, a Danish/American jazz singer and recording artist who set up her company – All Bout Dat Tours – to showcase aspects of the New Orleans story not being covered by the other plantation, swamp and ghost tour companies. 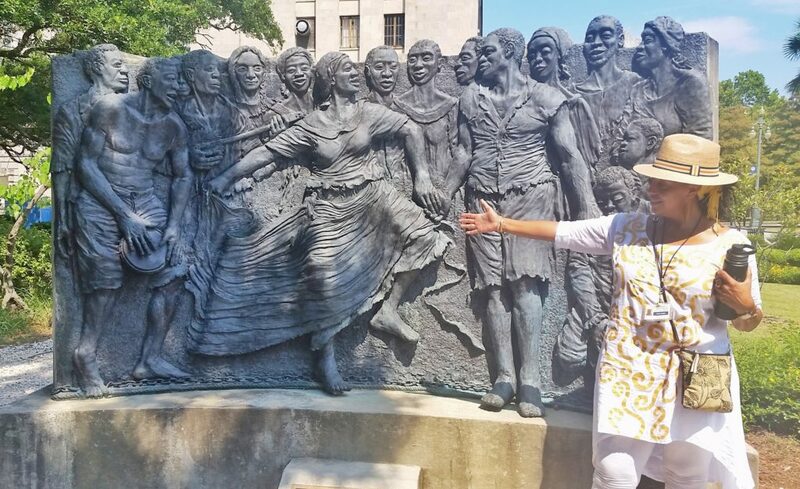 The history lesson starts at Louis Armstrong Park where she talks about the forced transatlantic journey of enslaved Africans, their subsequent stories of pain and resistance, and their ensuing reliance on music and the healing drum circles of Congo Square, which is attributed as the birthplace of jazz. If you’re so inclined, you can chant along with her to “spiritual libations” that purportedly evoke good energy and healing under one of the oak trees near the square. Later, she takes you to Bayou Road, which is in one of the oldest African-American neighborhoods in the United Sates. There you’ll find primarily black-owned businesses, so take extra money to support them by buying books, local art, and African fabric, as well as things like handmade soaps and jewelry. If you go into the community bookstore to browse for trinkets, please say hello to Miss Jennifer, a sweet-natured woman who doles out hugs like she could be everyone’s grandma. 1. Hotels in the French Quarter are closest to the all-day, all-night tourist action, but they also tend to be expensive and noisy. 2. If you want to be close by, but not in the thick of things, book accommodations in the business district near the St. Charles Avenue streetcar line. 3. Canal Street separates the French side from the English side of town and the streets have names in both languages, so take note of your surroundings carefully. Don’t fall prey to any crafty, metered taxi drivers who may take you on an extra long route to drop you off right across the street. 4. Shopaholics, I was told Magazine Street has 60 blocks of retail therapy just waiting to take your money. 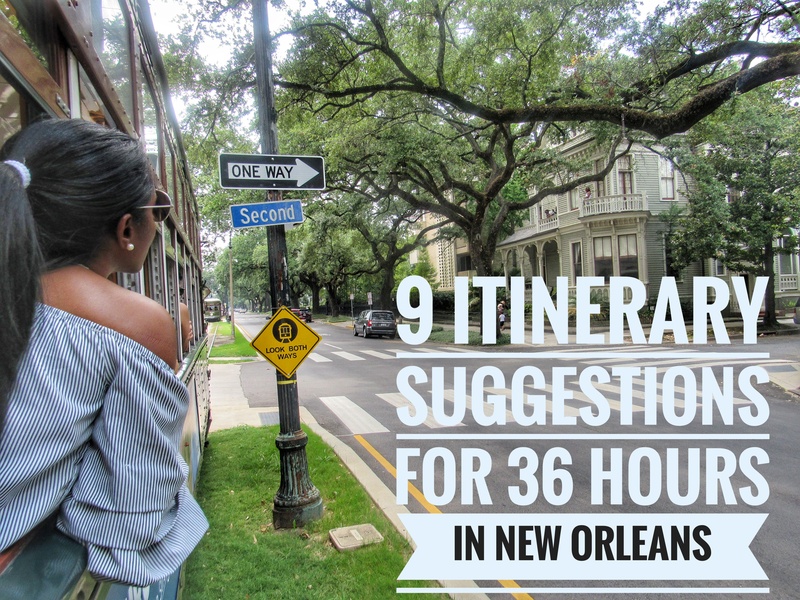 I am glad to see that you enjoyed your 36 hours at New Orleans fullest. 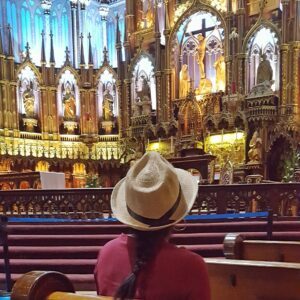 Your experience of trip inspired me deeply and i would love to cover all 9 suggestions on my visit to New Orleans. Thanks for sharing such an adorable blog with us.